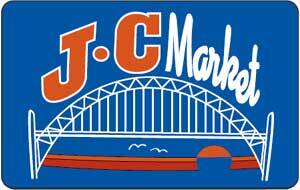 The JC Market gift card makes a nice gift for anyone. Many customers reuse them over and over again, loading the card with more dollars as needed. Use "like a debit card" at our stores. Get a current balance, when requested, or with any purchase at a checkstand. Nice presentation-style envelope when given as a gift.